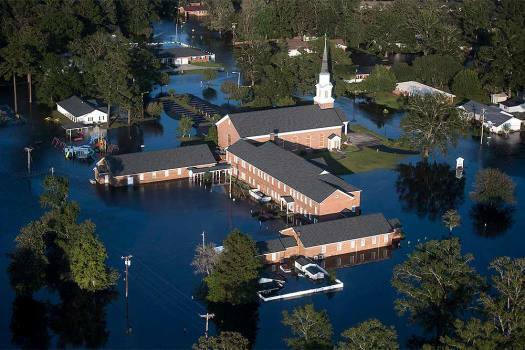 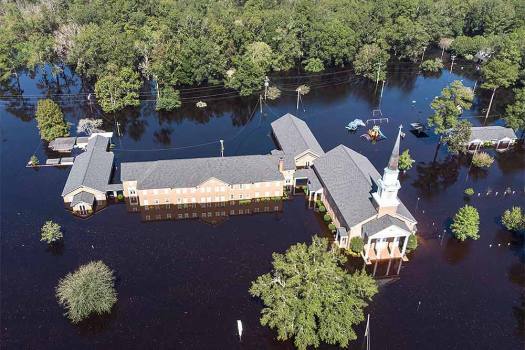 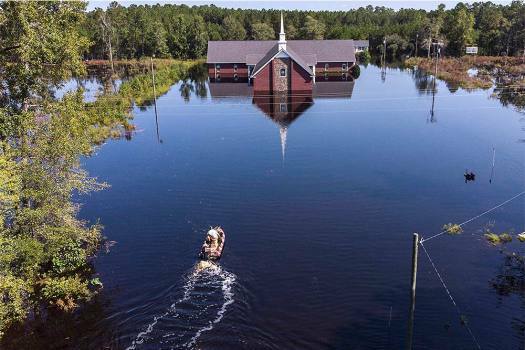 Trinity Methodist Church on Long Avenue is surrounded by flood waters as the Waccamaw River crested at well over 21 feet, Conway, South Carolina.. 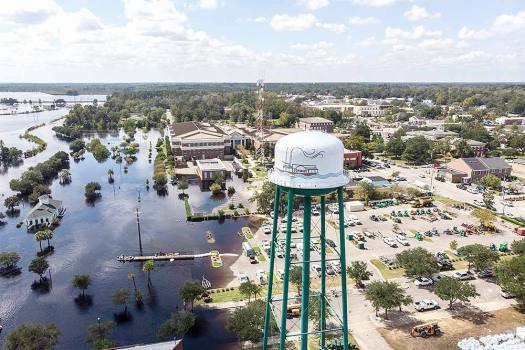 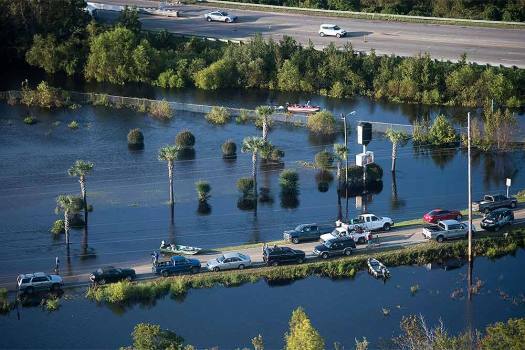 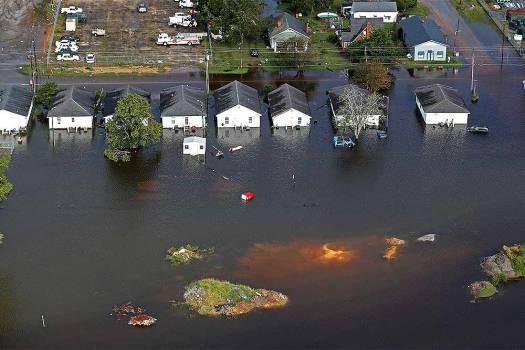 This aerial view shows the Waccamaw River which crested at well over 21 feet flooding many downtown homes in Conway, South Carolina. 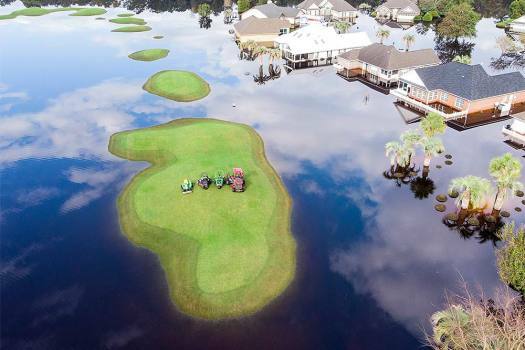 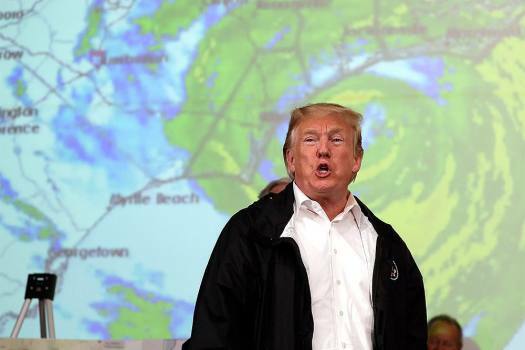 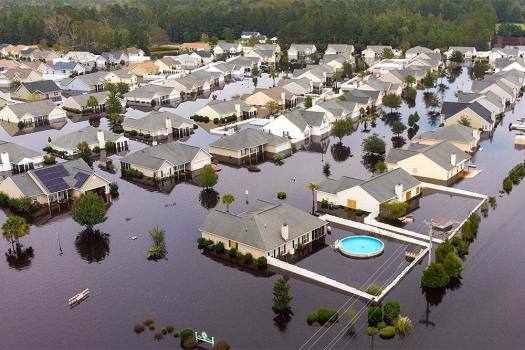 The Polo Farms neighborhood off S.C. Highway 905 is largely underwater, in Longs, South Carolina, due to Hurricane Florence's deluge. 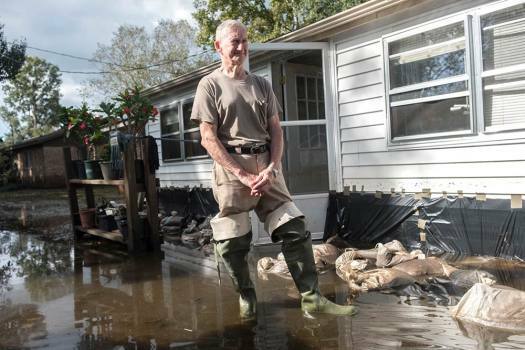 Brian Terry of Bay Road in Brittons Neck, South Carolina, is staying in his home despite the flood waters. 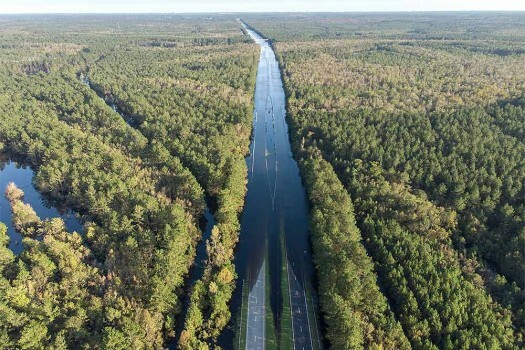 S.C. Highway 22 is flooded between SC-90 and SC-905. 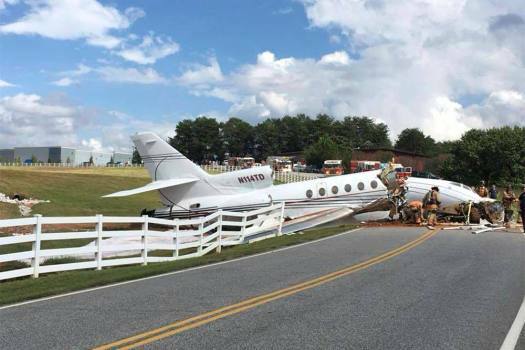 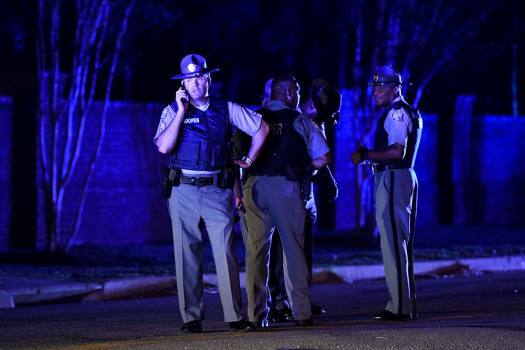 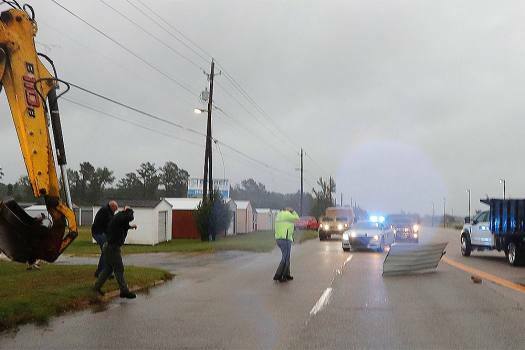 The blocked road has traffic snarled around Conway, South Carolina. 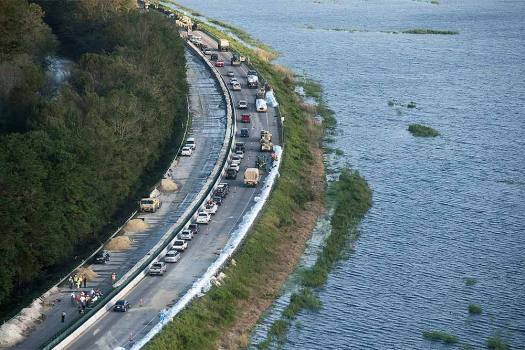 As traffic heads to the beach emergency crews build a temporary dam protecting U.S. 501 from floodwaters after Hurricane Florence struck the Carolinas in Conway, South Carolina. 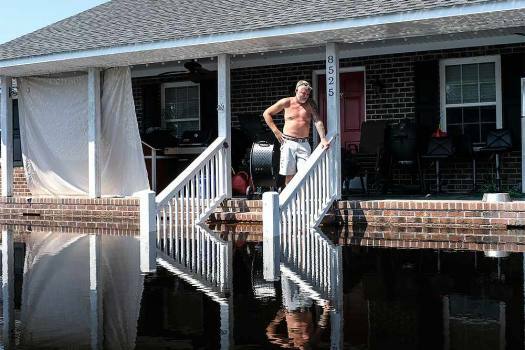 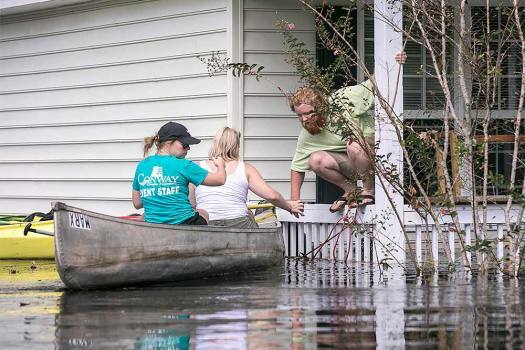 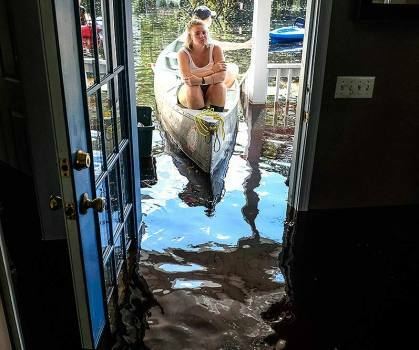 Floodwater from Hurricane Florence threatens homes in Dillon, South Carolina. 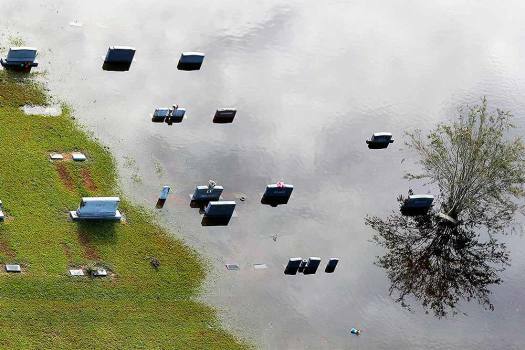 Tombstones sit submerged in floodwaters from Hurricane Florence, in a cemetery in Marion, South Carolina. 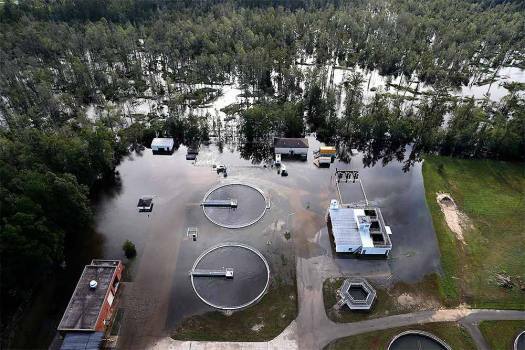 A wastewater treatment plant is inundated from floodwaters in the aftermath of Hurricane Florence in Marion, South Carolina.